Karicare is a leading brand of infant and toddler formula in New Zealand. In 2013 there was a botulism scare in the dairy industry, and Karicare was named as one of the brands that may have received tainted goods. No new parent would risk buying a product connected with a scare, even though further investigations revealed the brand was not contaminated and completely safe. It was our job to put Karicare back in the good books with New Zealand mums. We came up with a feel-good, Made in New Zealand brand story that put the emphasis back on what Karicare is all about – being a local brand that cares about the littlest Kiwis. 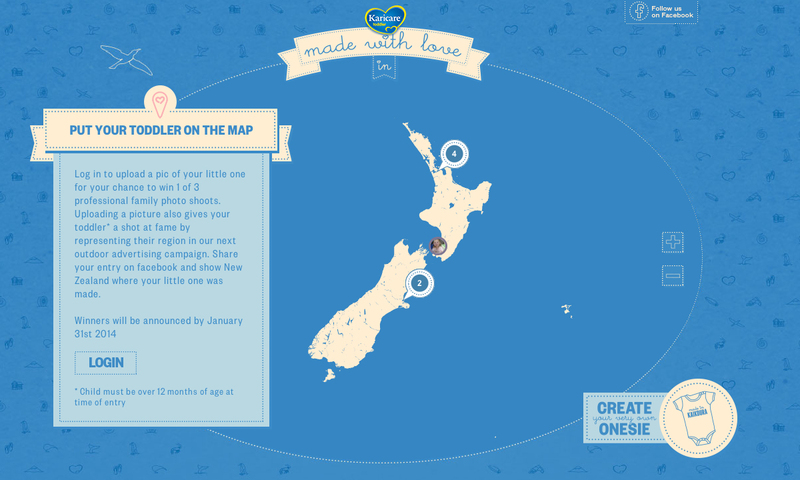 Like them, Karicare is made with love here in New Zealand. 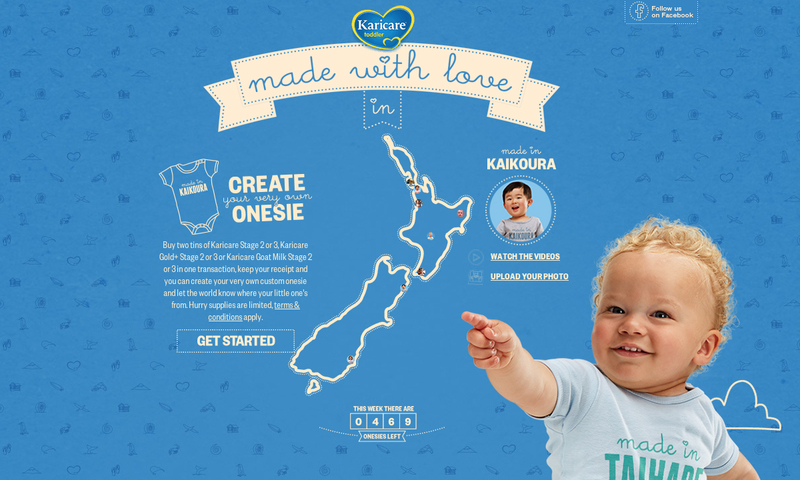 I art directed and designed this website that let parents customize a free onesie proudly showing where their little Kiwi was made. They could then upload their photos to a map. The campaign was a success at getting Karicare back on it’s feet as a trusted brand, and picked up Silver Effie.